ReconArt™ gives us faith in the financial numbers we report by delivering accuracy, reduced operational risk and a fully auditable environment. 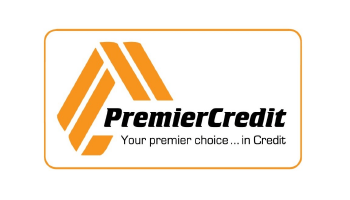 Within the first year of its existence, Premier Credit gained over 17,000 clients in Kenya alone. It services them with 350 staff spread across twenty-two branches. With each client making a payment on average three times a month, today Premier is processing about 50,000 monthly receipts, and that number continues to grow. Around 80% of all payments by customers, today come in via mobile money through Safaricom’s M-PESA platform, with the remainder being more traditional bank deposits. Daily reconciliation activities for Premier Kenya alone already amount to 1,200 mobile money payments per day, a proportion of which don’t get to their destination properly and need to be researched. Having experienced the effects of trying to do this manually in the past, Premier’s executive team recognised the need to put in place early on an automated platform. This would ensure the early detection of errors in posting receipts, and that all payments made by clients have been credited correctly. Knowing exactly what was needed to introduce a sound reconciliation platform upfront, the leadership team was introduced to ReconArt’s fully automated reconciliation solution. It quickly realised that the ReconArt™ Total Reconciliation Lifecycle™ delivers all of the capabilities required to address all the problems they had been fighting with for years in prior companies. Furthermore, by implementing the solution early in the company’s development, and confident in the ReconArt™ solution’s ability to scale significantly, Premier was able to avoid bringing on additional headcount to manage manual reconciliations. The cloud-delivered ReconArt.net™ software-as-a-service solution was deployed to manage all Premier Kenya’s transactional reconciliations. As part of the daily matching of data, ReconArt™ pulls data from Premier’s cloud banking platform – Mambu, with externally sourced data feeds from Safaricom’s M-PESA platform for mobile money, Co-operative Bank of Kenya for receipts and Commercial Bank of Africa for disbursements. The matching process is extremely automated, as is the immediate identification of situations of operational risk, freeing users to investigate and resolve any exceptions quickly and efficiently. Significant ROI. Based upon historical experience, Premier Kenya estimates that, to date, without ReconArt ™ this size operation would require 5-6 full-time equivalent employees just for doing reconciliations. Instead, the company achieves a better and faster process with just two employees who also have other functions and are not dedicated to reconciliations. The deployment of ReconArt™ for Premier’s Kenya operations has aligned completely with the company’s expectations. After an initial brief learning curve moving from a manual Excel-based environment, users today find ReconArt™ easy to operate. As a result, ReconArt™ will be next rolled out to Uganda and Tanzania companies.